October 25th marked the 104th birthday of the late Larry Itliong. In October 2015, California Governor Jerry Brown signed the bill that would give the Filipino-American labor leader statewide recognition with the annual day honoring his contributions to the state’s farmworkers’ labor movement. 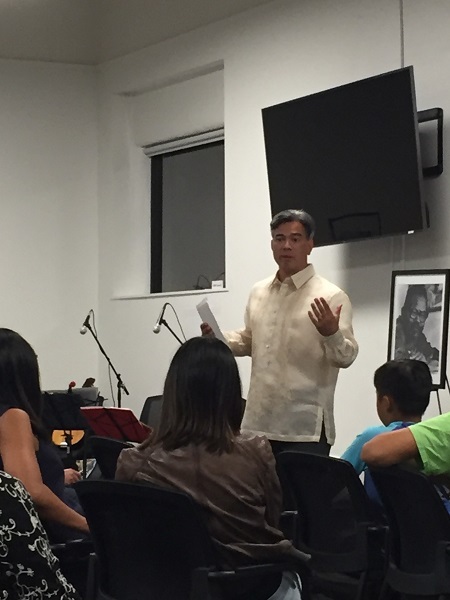 California State Assemblyperson Rob Bonta, the first and thus far only Filipino-American legislator in the state, authored the bill and hosted the 3rd Annual Larry Itliong Day during Filipino American History Month last month. This year’s event was held at the Greenlining Institute on 14th Street in downtown Oakland. In addition to Rob Bonta’s welcome and opening remarks, Marissa Aroy’s documentary, The Delano Manongs: Forgotten Heroes of the United Farm Workers Movement, was shown. 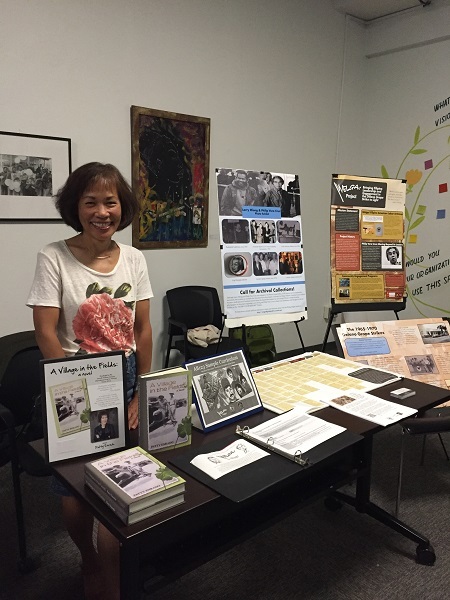 An excerpt of a children’s book – a biography of Larry Itliong – was read by publisher Gayle Romasanta and co-written by Gayle and Dawn Mabalon, history professor at San Francisco State University, trustee of the Filipino American National Historical Society (FANHS), and Little Manila co-founder. The book is titled Journey for Justice: The Life of Larry Itliong. A spoken word artist performed next, followed by a brother duet. Closing out the evening was a wonderful performance by the American Center of Philippine Arts, led by Executive Director Herna Cruz-Louie. Until next year, here are my photos of the evening. Sharing a table with Welga! 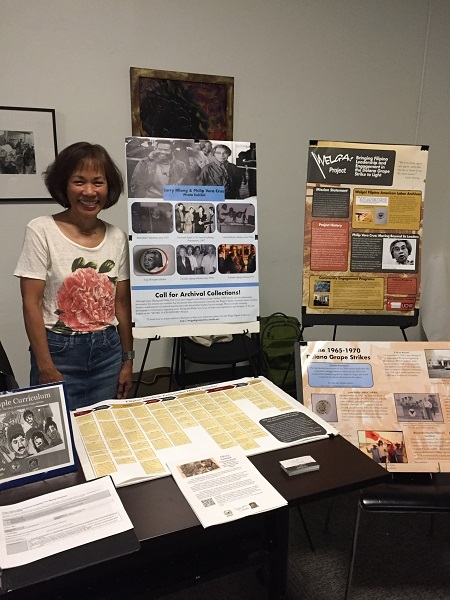 the Filipino American labor archives founded by Professor Robyn Malagit Rodriguez at the University of California at Davis. California Assemblyperson Rob Bonta passionately asking the community to participate and get out to vote. Amen to that. Proud to be associated with Welga! The front and back covers are courtesy of Welga! I found the archival photos on the website of Welga! And, of course, Professor Rodriguez, who has been a great supporter of my book, is the director of the archives. I also donated materials from my research as part of the archives. Check them out at http://welgaproject.ucdavis.edu/ and http://welgadigitalarchive.omeka.net/exhibits/show/about. 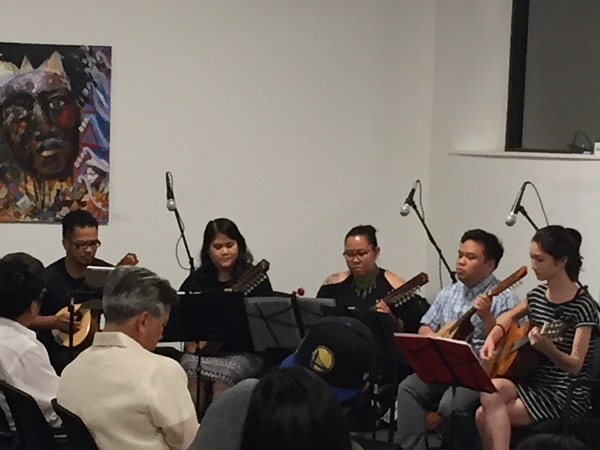 Led by Executive Director Herna Cruz-Louie, the American Center of the Philippine Arts gave a rondala performance as the finale to the evening of celebration.